This year, close to 45,000 people participated in the Tata Mumbai Marathon (TMM), Asia’s biggest in terms of participation and prize money. A growing marathon, in its fifteenth year amid Indian matrix of population and congestion, the event has its share of fatigue around the edges. Should it keep adding numbers or should it emphasize performance? While reinvigorating the Mumbai marathon is a matter for the organizers to mull over, runners continue to find the event a magnet. For the seasoned, it is an annual pilgrimage. For others, it is a rite of passage. Either way, they arrive. At the end of every edition, a few people find themselves on the podium. We spoke to a mix of runners, elite and amateur, who secured podium finish at 2018 TMM. Those featured: T Gopi, Nitendra Singh Rawat, Thomas Bobby Philip, Sabhajeet Yadav, Bhasker Desai, Vaijayanti Ingawale, Manoj Rane, Pervin Batliwala, K.C.Kothandapani, Simta Sharma, Dnyaneshwar Tidke, Khurshid Mistry and Idris Mohamed. Please scroll down to read what each person had to say. 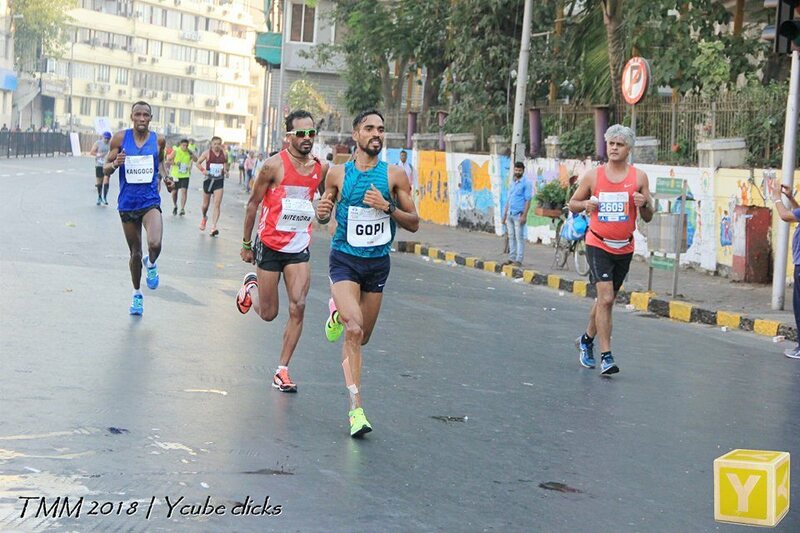 Thonakal Gopi: A relatively recent entrant to the marathon, Gopi was a pacer who amazed everyone by finishing second among Indian elite runners at the 2016 Mumbai marathon. The effort had earned the army runner a berth to run the full marathon at the Rio Olympics, which he did completing the discipline in 2:15:25, placing a creditable 25th. In November 2017, Gopi was in the news for winning the Asian Marathon Championship, the first Indian male athlete to do so. On January 21, 2018, at the Tata Mumbai Marathon (TMM), he placed first in the full marathon under the Indian elite category for men. He covered the 42 km-distance in 2:16:51 tad slower than his 2016 timing of 2:16:15. It was a tight finish with fellow army runner Nitendra Singh Rawat battling him to the line. That evening Gopi spoke to this blog. “ If I compare the outcome of today’s run with how much I practised, then I don’t think it is quite up to the mark. After the Asian Marathon Championship I got only a month or so to prepare. Despite limited time, I prepared well. Compared to that, I feel my performance wasn’t as good as it should have been. It didn’t match my expectations. There were some reasons for it – roughly ten days before reaching Mumbai I had pain in my hamstring and shin bone. There was the change in weather to deal with. Road condition also matters. I am not talking of ups and downs, I am referring to how even the road surface is. All this may have contributed. We had a pacer till around the 32 km-mark. Until the 27th kilometer, the pace was good; we seemed to be on par with the record. But after that for the next five to six kilometers, the pacer became trifle slow. Once he faded, it was only Nitin (Nitendra Singh Rawat) and I. I was leading but I couldn’t push alone. I think Nitin was also in the same position. In that last 10-12 kilometers, the run suffered some loss of quality. Overall therefore, the result wasn’t as I would have liked it to be,’’ Gopi said. Another Podium But Is Anyone Listening? 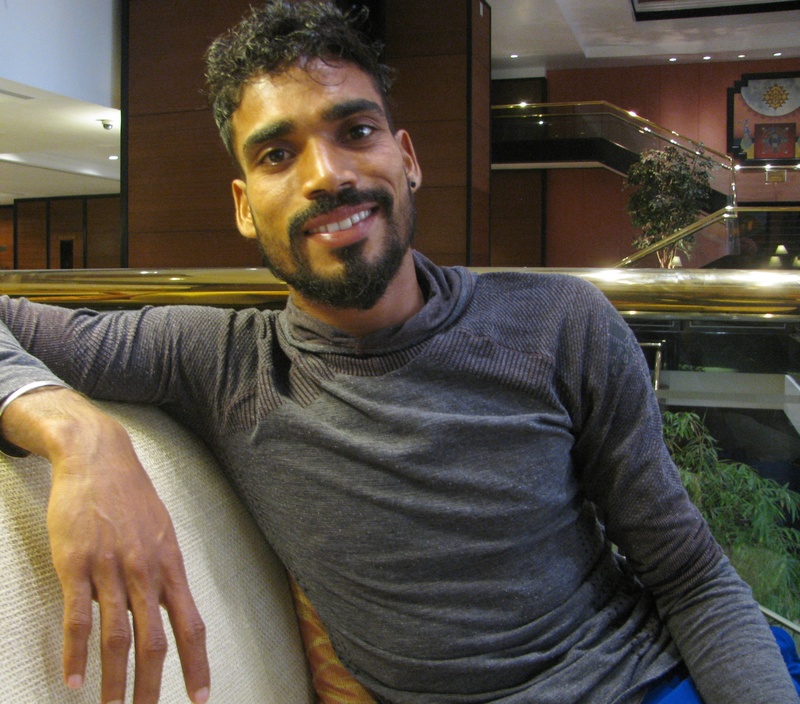 Nitendra Singh Rawat: Winner of the Indian elite category at the 2016 edition of the Mumbai marathon, Nitendra Singh Rawat was subsequently unlucky at the Rio Olympics, where injury hampered his performance. He finished 84th in the field. It was a costly injury, for the talented runner – he had set a course record at the 2016 Mumbai marathon – found himself out of the national camp. In early November 2017, when this blog caught up with him, Nitendra was training in Ranikhet, home of the the Indian Army’s Kumaon Regiment, to which he belonged. He was determined to make a comeback. Days later, on November 19, he produced his first major victory in a while, smashing the course record and bagging the title in the men’s Indian elite category at the 2017 Airtel Delhi Half Marathon (ADHM). Soon afterwards, talking to the media, he said that he had aimed to win the race and prove that he belonged to the national camp. 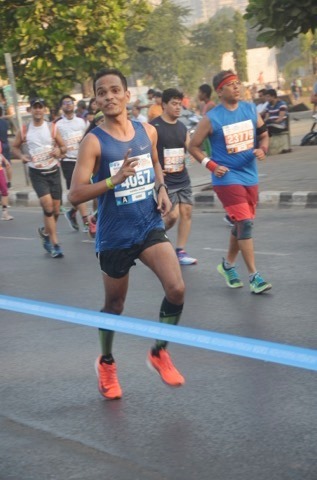 At the 2018 TMM, Nitendra finished a close second to Gopi, completing the full marathon in 2:16:54. A day after the race, he spoke to this blog about his outing at TMM. He said he had been running a full marathon at competitive level after a long time. He also wanted to make sure that he does not injure himself afresh. Repeating a point he had made before the media after the race, he said that chances of chasing the course record would have been brighter if the race had commenced tad early. Late start means the runners are pushing their limits in warm weather. Asked if he was now back in the national camp, Nitendra said that was yet to happen. He had trained for TMM at Ooty, renting his own accommodation and practising with other elite runners. He planned to return to Ooty. Thomas Bobby Philip: At the 2017 Mumbai marathon, this runner from Bengaluru – running in the 50-55 age category – had finished the full marathon in 2:58:46. This year he improved his timing some more, covering the 42 km-distance in 2:57:17 to place second in his category (50-54 years). The performance notwithstanding, Bobby said that the passage to TMM had been challenging. In mid-October 2017 Bobby was laid low by viral fever. “ It drained me out,’’ he said. Coming up was the New York marathon. He had made all bookings and arrangements to run there. It was too late to back out. Somehow he ran it straining his calves and quads in the process. He finished the New York marathon in 3:13. He took at least two weeks to recover from the effort. “ Overall, I could not prepare well for TMM,’’ he said, adding, “ eventually it was just my mental strength plus a lot of pushing that yielded the improvement in timing by about 90 seconds.’’ If you go through the TMM podium finishes, you will notice that Bobby’s is the last sub-three performance among men securing a place on the podium. In the age categories following his, timings are in the three hour realm and beyond. What should also interest is that his timing is better than at least four podium finishes in age categories noticeably younger than his. Bobby believes that given the improving performances reported by Indian runners, sub-three performances in the amateur category are set to rise. It won’t be a novelty any more. TMM over, Bobby – in a practice he has followed for long – will reduce mileage and focus on intensity to get ready for the TCS 10K in Bengaluru. Thereafter, he will focus on both increased mileage and intensity as the year builds up to the next TMM. These two events are the pivots around which Bobby structures his year in running. A Seventh Win In The Bag And How! Sabhajeet Yadav: Marathon organizers don’t ask him how he reaches the start line. So this year too, the farmer from Dabhiya – winner six times in his age category at the Mumbai marathon – stuck to a practice that has come to be characteristically Sabhajeet. On the trip to Mumbai from Uttar Pradesh, his train was terribly late. He reached the city January 19, late at night. He stayed with a friend in Aarey Colony. Next day he collected his bib from the TMM pre-race expo at Bandra-Kurla Complex. That was when Ramavtar Rajbhar of Gorakhpur called. Both men knew each other from previous editions of the Mumbai marathon. According to Sabhajeet, Ramavtar had been a podium finisher in the half marathon some years ago. Their discussion on the phone revolved around a simple topic – what’s the best way to ensure that you are at the start line on time? “ For me, the choice is simple. I come to Mumbai to run the marathon. So the closer you are to the start line, the better it is,’’ Sabhajeet said. Focused on reporting to the race on time and having no desire to be delayed by any of Mumbai’s traffic snarls or rail problems, he has in the past slept at the city’s Chhatrapati Shivaji Maharaj Terminus (CSMT). The railway terminus is stone’s throw from the start line of the full marathon. It took no time for the two men to agree that the railway station seemed apt solution for their concerns. Later that day, eve of the race, they met in the vicinity of CSMT; Ramavtar had brought with him one more person, a runner from Sholapur. Making a slight departure from tradition, the three runners slept on the footpath near Azad Maidan. 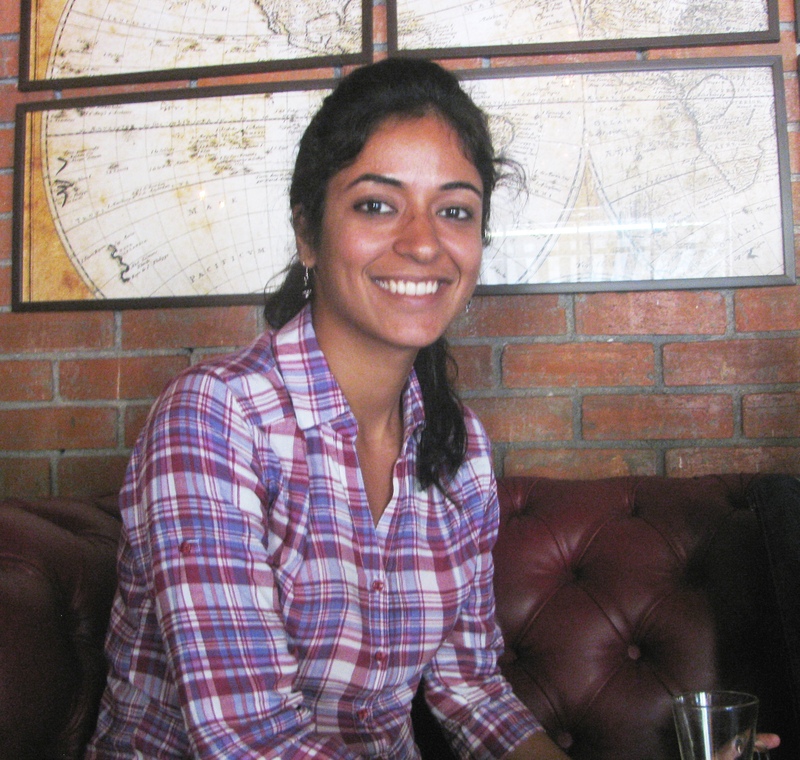 “ You can call it sleep but it wasn’t exactly so,’’ Sabhajeet said smiling. A footpath is rarely quiet. Given other footpath dwellers around, he admitted to being tad worried about his bag containing his belongings, none of it luxury and all pertaining to what he required for the race. According to Sabhajeet, the trio spent the night in a haze of light sleep and talk about running, how race day might be and how to tackle the race. Early morning it was a short hop from footpath to start line. Three hours, 29 minutes and 12 seconds after the full marathon commenced, 62 year-old Sabhajeet Yadav had registered a seventh win in his category, the 60-64 years age group. As he slowly advances in age, Sabhajeet has modified the mix of events he participates in – he now runs more half marathons and a few handpicked full marathons, the latter being typically the full marathons of Mumbai and Bengaluru. Besides the seven podium finishes he has accumulated at the Mumbai marathon, he has had seven podium finishes at the Airtel Delhi Half Marathon (ADHM) and three podium finishes at TCS 10K. “ I would like to go for Masters Athletics,’’ he said. Should that ever happen, his wish is to run the classic middle distance disciplines. “ I think my chances are strong there,’’ he said. And what if he qualifies to represent the country in Masters? What if he has to travel abroad? “ I will have to go with others as I don’t speak English and won’t be able to manage alone,’’ Sabhajeet said. Aside from well-wishers like Mumbai based-runner Bhasker Desai, who has stood by him and supported him, Sabhajeet has no sponsors. No manufacturer of running gear, no shoe company, none have come to his assistance despite his collection of podium finishes and a style of running that anyone would applaud. And as said, organizers don’t ask him where he slept or how well. Prize money is important for Sabhajeet. “ We grow wheat. Last year the crop was alright as should be this year for rains were good. But the thing with farming is that much of the produce is consumed at home and earnings from any surplus sold is typically ploughed back into the farm,’’ he said illustrating his financial predicament wherein prize money from running matters. On the morning of January 23, he met this blog for a chat at Mumbai’s Lokmanya Tilak Terminus from where the train he was booked on – Chhapra Express – was due to depart. He had three big bags in his hands; a fourth one – a small rucksack – hung on his shoulder. The big bags had been given to him by people from his part of UP, living in Mumbai. They contained gifts to be reached to families residing in three different villages not far from Dabhiya. “ My bag is this small one,’’ Sabhajeet said pointing to the rucksack. Coffee and conversation later, he walked off to board his train. He was scheduled to return in February for the half marathon in Thane. Bhasker Desai: Every year, Bhasker spends much time travelling. He makes it a point to be in Mumbai for the annual marathon. He has been running the Mumbai marathon regularly since 2006 and has among his milestones in running, a clutch of 2-3 podium finishes at the event. He has run at several races abroad. But Mumbai is home. That makes the city’s annual marathon, special. Bhasker hasn’t run the full marathon for almost two years. The full marathon needs dedicated training, something he finds difficult to do as he is always on the move. Preference has been for the half. “ I take every day as it comes’’ Bhasker said, admitting alongside that he likes it when he is rewarded with good timing. At 2018 TMM, he finished first in his category (65-69 years) in the half marathon with timing of 1:50:01. “ I am happy overall. Everything at the race was well organized. I have no complaints whatsoever,’’ Bhasker said. Vaijayanti Ingawale: This was her second marathon at this event. “ I must say it went off very well for me. So far, I have done three marathons, one of them at Sydney, last year. This time around in Mumbai I was familiar both with my ability and the marathon’s course, as I had run the event in January 2017,’’ Vaijayanti said. Her target was to get a sub 4:20. She was able to do that with correct pacing. “ I don’t use any gadgets. I plan my timing for each 10 km-segment. I progressed fairly well as per plan although there were temptations to surge ahead every time you saw someone familiar overtake you. However I did not push myself. I faced no issues at all and the overall arrangement including hydration was well organized,’’ Vaijayanti said. She won the full marathon in her age category (60-64 years) with timing of 4:19:56. “ This time around I trained very systematically and focused a lot on strengthening. I also rearranged my work hours so that I could devote some time to train,’’ she said. 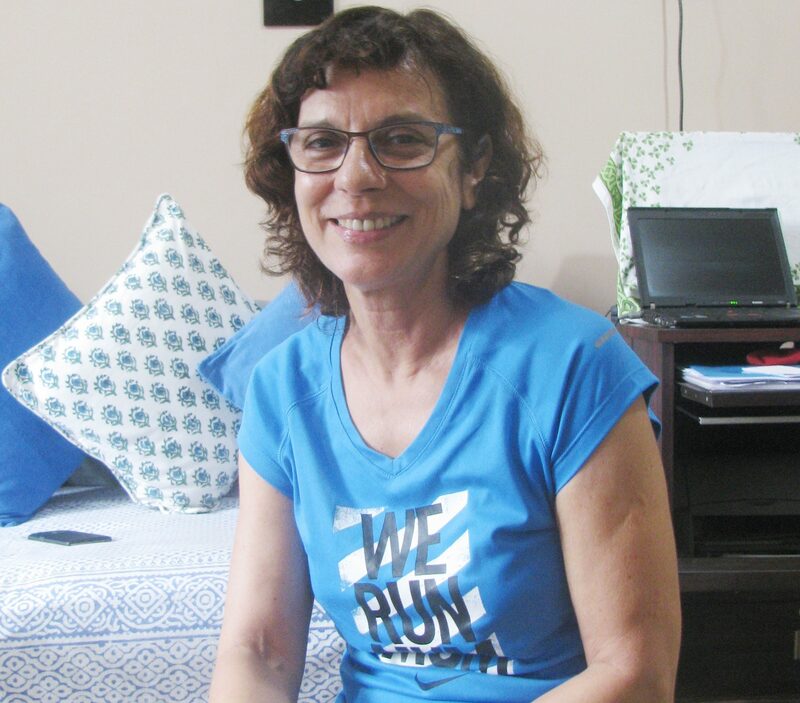 According to her, the Mumbai marathon has its own charm. “ There is so much support and encouragement from people. The course is not a very challenging one. I have participated in runs in Sydney, Hawaii and Malaysia and I must say they are organized quite professionally. In places like Sydney and Hawaii the culture of fitness is very strong. Here, the awareness towards long distance running is increasing slowly. I want to now attempt longer distances. I plan to do a 50 km run at Borivali National Park in February,’’ she said. Manoj Rane: “ For this year’s TMM I trained hard for the three months preceding the event. During this time, I got a personal best timing in the half marathon. I also did all my long runs after 8 AM, logging 350-360 kilometers every month from October to December 2017. I felt TMM was better than the earlier Standard Chartered Mumbai Marathon in terms of route and hydration. But I did run into a wall of half marathon runners right from Pedder Road till CSMT. That slowed me down. I completed 30 kilometers in 1:56 and was targeting to end the run with timing of 2:45-2:46. But the sharp turns in the last one kilometer made it difficult to maintain the pace. My next runs are the Shirdi Half Marathon and New Delhi Marathon in February. Later this year, in September, I will be attempting the Berlin Marathon. 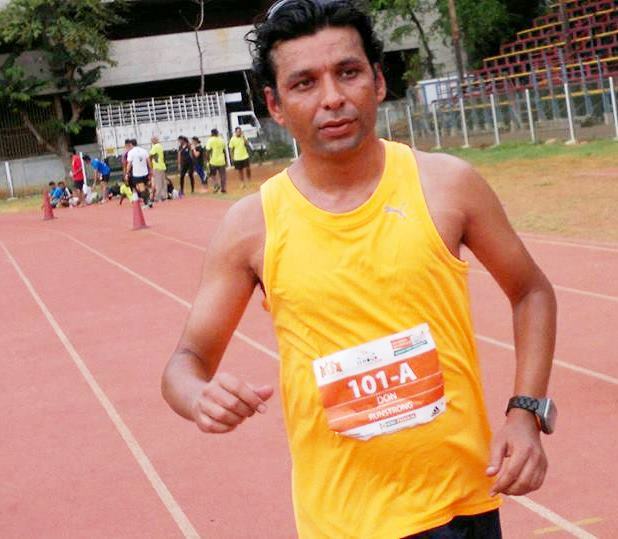 My plan is to attempt Boston Marathon and New York Marathon in 2019,’’ Manoj, who secured second position in the 2018 TMM-full marathon in the age category of 25 to 29 years, said. He completed the distance in 2:47:53. 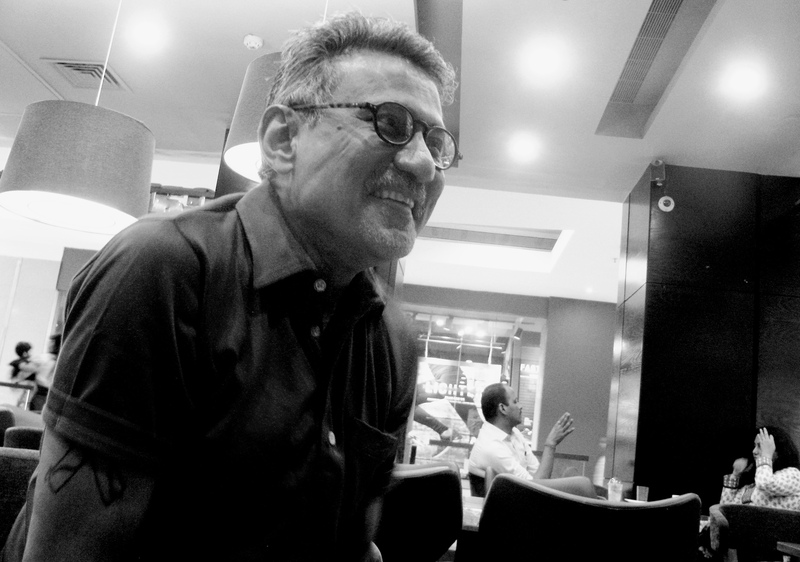 Pervin Batliwala: Sometimes the unexpected strikes. 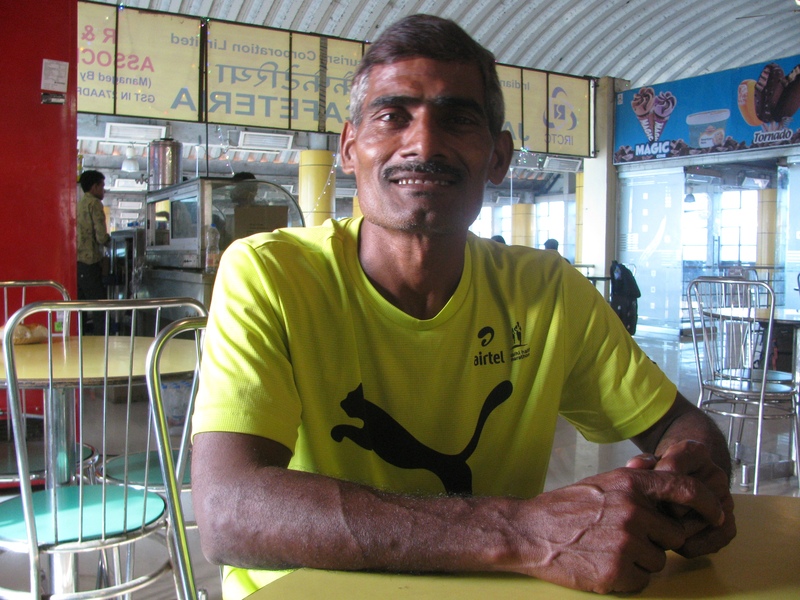 Pervin is a strong runner; veteran of many Mumbai marathons. “ This time I had a problem. Just one week before TMM, I had to be on antibiotics. That left me feeling a bit weak,’’ she said. At 2018 TMM, Pervin finished second in her age category (60-64 years) in the full marathon with timing of 4:21:02. In 2017, when she placed first in her category, she had finished in 4:28:46. “ So its okay,” Pervin said. She had no complaints with race arrangements except for the condition of a stretch of road, which was part of the marathon route. The road at Babulnath, close to where she stays, had been repaired days before the marathon and for some reason its surfacing was left in a poorly finished manner. “ Otherwise, everything was good,’’ she said. Asked about the last stretch of the marathon’s route being changed due to metro work, she said it may have affected some of the elite athletes. But it was most unlikely to make any difference to amateurs. Going ahead, Pervin is due to run the London Marathon in April. K.C. 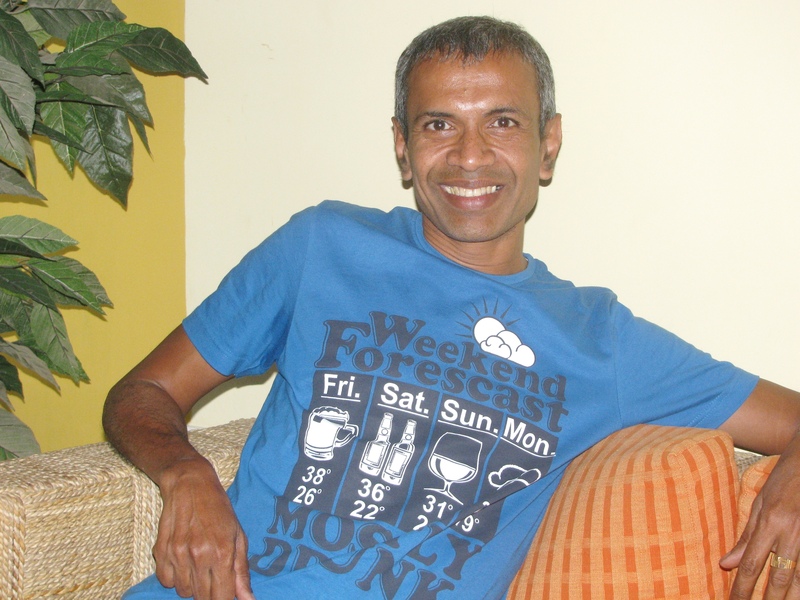 Kothandapani: Formerly with the Indian Air Force and now among Bengaluru’s best known coaches, Kothandapani finished third in the full marathon in the age group of 60-64 years, at 2018 TMM. He completed the distance in 3:33:25. “ My run could have been better but for cramps in my left calf muscle at the 20 kilometer-mark. After that it was a struggle. Nevertheless, I was able to achieve my targeted timing of 3:35. In fact, I was able to better it. This time around I did not face the problem of half marathon runners coming in the way of full marathoners. Every year, this is a major issue for marathon runners. This time the organizers had marked a separate lane for marathoners in the last two kilometers. Of course, this must have benefited runners finishing before 3:35 hours. Later they kept the lane free for elite runners. Last year, I did four marathons – Mumbai in January, Tokyo in February, Chicago in October and New York in November. At these destinations, weather and crowd support was extremely favorable. Crowd support is there until the end of the race. In India, Mumbai is the best in terms of support and cheering. This is my eighth outing at the Mumbai marathon. Over these years, competition has increased hugely especially in age categories like 60 to 64 years. Competition among women runners has also gone up. Road quality is not bad though much of the roads that we run on are made of concrete, which is not good for the joints. 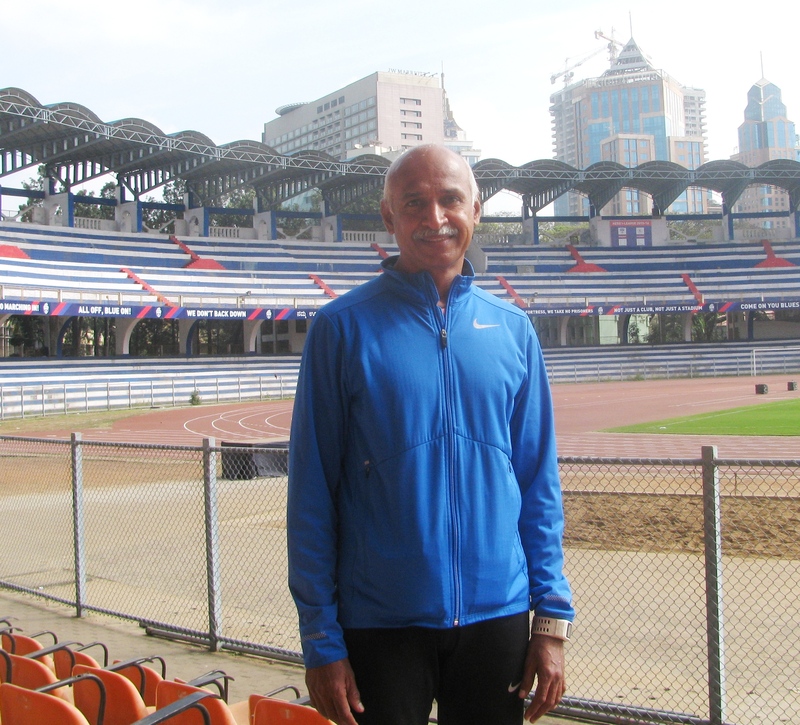 My next event is the National Masters Meet at Kanteerava Stadium in Bangalore. I will be attempting the 5000 meters, 10,000 meters and the 2000 meters-steeple chase in my age category. I had qualified for this during last month’s state Masters’ Meet. Once this is done, I will focus on training for Boston Marathon, which is on April 16, followed by Big Sur Marathon in California, on April 29. 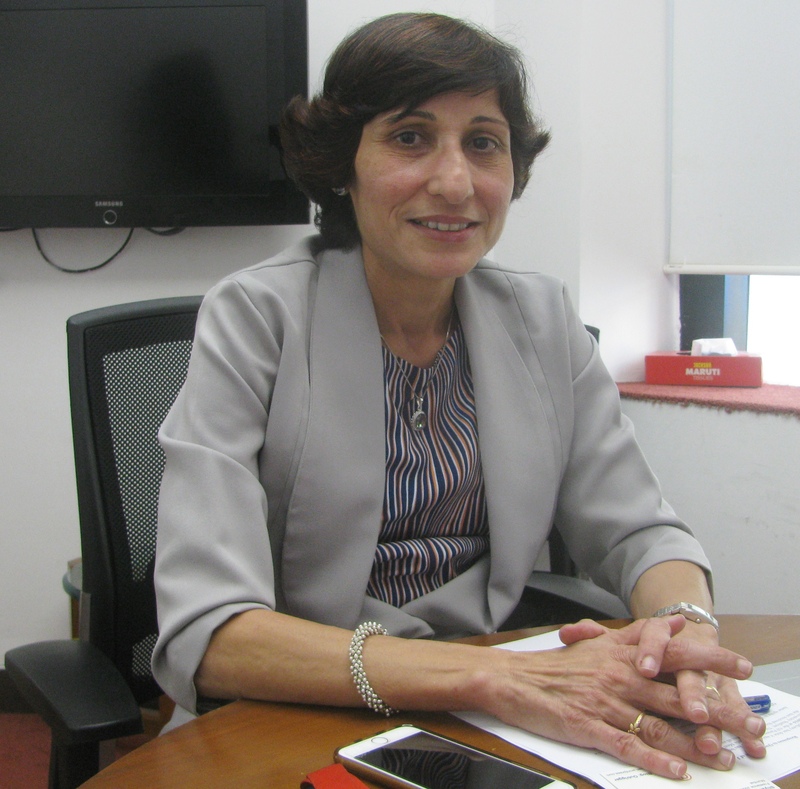 Simta Sharma: “ I was not planning to run this time. I was recovering from an attack of dengue. 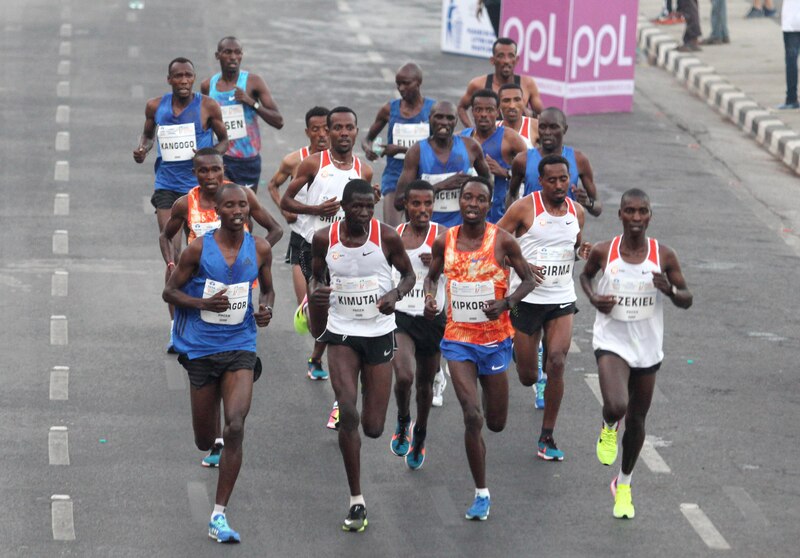 But when I went to the expo to collect my bib I changed my mind and decided to attempt the race,’’ Simta said. According to her, the 2018 TMM was a great experience. “ In the first two kilometers, I was running alongside the pack of 9-10 elite women athletes. In the third kilometer I overtook them and it stayed so until the tenth kilometer, when they just flew ahead. I could not keep up with their pace,’’ she said. Simta finished second in her age group (30-34 years) in the half marathon with timing of 1:36:11. “ During my training I did feel the impact of dengue as I was not able to keep my pace up at race-pace levels. Also, during TMM, the fag end of the race was tough for me as I kept getting stitches in my stomach,’’ she said. She found the overall arrangements including hydration quite good. “ Cheering was fantastic. I must have heard my name being called out by supporters and runners at least 25-30 times right from Worli until the end of the race,’’ she said. This is my second Mumbai marathon. The last one was in 2016 when I was pacing a friend. I am quite happy with my timing. For me the running season is over with this event. I will now focus on strength training and 10 kilometer-runs,’’ she said. In 2017, Simta had won the Wipro Chennai Marathon in open category. Dnyaneshwar Tidke (This photo has been downloaded from Dnyaneshwar’s Facebook page. Dnyaneshwar Tidke: Although he did not have a strong finish this time, Dnyaneshwar could secure a place on the podium. “ I started cramping at the 17 kilometer-mark. This is the first time I got cramps in my entire running career. Initially, I tried to overlook it by running continuously. I did not want to stop. But the cramps kept getting worse. Until 32 km I was able to maintain my target pace but the last 10 km was tough. I took 45 minutes to finish the last 10 km,’’ Dnyaneshwar said. He finished the 2018 TMM full marathon in third position in his age category (40-44 years) with timing of 2:55:44. “ My practice was good but I suffered a knee injury at the Delhi half marathon. I lost 15-20 days resting after this injury. I was worried that my knee may pose problems but it held up well,’’ he said. Mumbai marathon is an important event for him. “ The problem that I faced in the just ended race was wading through a sea of half marathon runners during the latter part of the course. This time during the final stretch I found many wheelchair participants on the course and I had to make my way through them,’’ he said. Dnyaneshwar has run the Boston marathon twice. “ Overseas, marathons are managed very professionally. Basically, there needs to be integration between the civic body and other authorities to help manage a marathon, which is an important event for any city,’’ he said. Dnyaneshwar’s immediate plan in running is to focus on his training and then pay attention to coaching. Khurshid Mistry: “ My run went off very well,’’ Khurshid said. She finished second in her age category (50-54 years) at the 2018 TMM half marathon with timing of 1:54:41. According to her, the 5:40 AM start for half marathon runners was very beneficial for early finishers. “ The arrangements for TMM were superb. All details were attended to very well. This time running was easy, public support along the course was fabulous. Mumbai Road Runners had some cheer zones, which was a very good thing for runners. Also, signs and route indicators were very prominent all over the place. There was not much crowding at start this time around. I enjoyed the run thoroughly and I did not have any problems whatsoever,’’ she said. As much of her training for distance running is done on Mumbai roads Khurshid is quite familiar with the marathon’s route. “ That’s a major advantage for us Mumbaikars. I find the Mumbai marathon course moderately challenging. One has to plan the pace correctly. For half marathon runners, as soon as we start, we get the gradient of the Bandra-Worli sea link. This time around the sea link was well lit up but the distressing fact was that runners were throwing bottles right on the course making running difficult,’’ she said. For now, TMM is her last long distance event. “ I will be shifting to training for sprinting as I have events coming up in March and April,’’ she said. 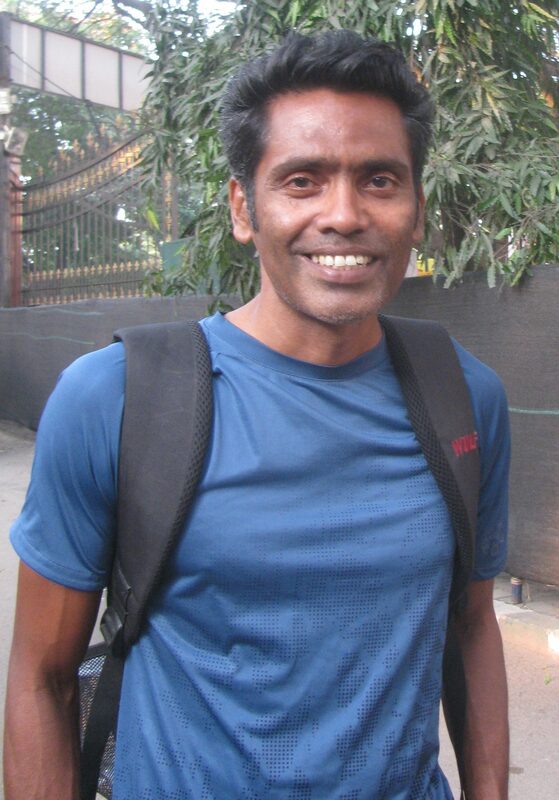 Idris Mohamed: In the 2017 edition of the Mumbai marathon, Idris had finished second in his age category (45-50 years) in the half marathon. For the following year in Mumbai, he had set his eyes on the full marathon, something he wanted to do before he turns 50 in May 2018. Idris is at a running event almost every weekend; half marathons dominate the menu. Scheduling a full marathon in between is tricky because it impacts his running calendar with races back to back. As things played out, he had to settle for yet another half marathon at 2018 TMM. On the bright side, he completed the discipline in 1:22:30, which is a two minute-improvement over his timing in 2017. Once again, he finished second in his category. Speaking to this blog on Republic Day (January 26), some days after TMM, Idris said he was due to run a half marathon in Tirunelveli that weekend and then follow it up with the much awaited full marathon, which now stands reserved for the IDBI Full Marathon in Kolkata. Full done, Idris was slated to participate in the National Masters Meet wherein he will compete in the 800 meters, 1500 meters, 5000 meters and 10,000 meters. Should he make it through, then the next step would be the World Masters Athletics Championship scheduled to be held in Spain. As for his half marathon at 2018 TMM he said, “ I am happy with my performance. Everything went smoothly. Perhaps the only issue was those additional turns towards the end as the route was changed owing to ongoing metro work,’’ he said. Asked about hydration, he said he didn’t face any problems because at his pace in the half marathon, he needs to depend on just two aid stations. Overall, Idris said, he didn’t sense any major difference between the 2017 edition of the Mumbai marathon and its reincarnation as TMM. 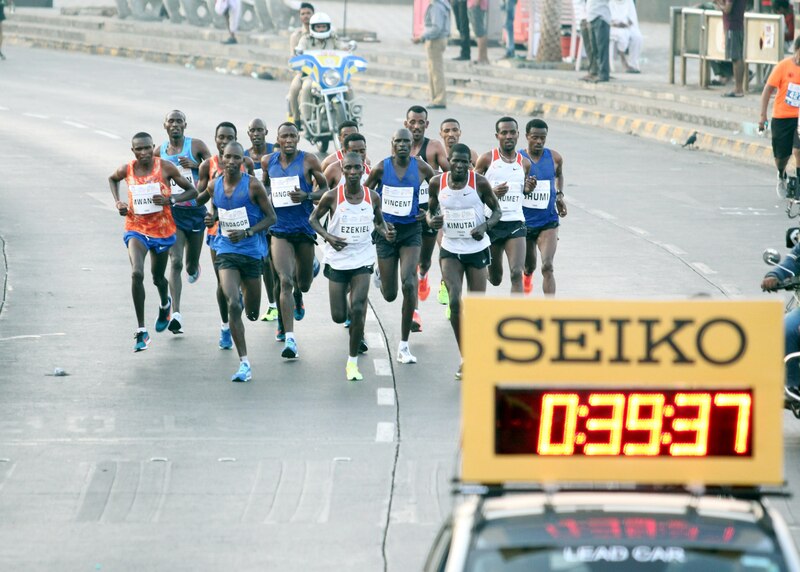 The 2018 edition of the Mumbai marathon was significant for the change in title sponsorship. The era of association with Standard Chartered Bank ended. In early August 2017, it was officially disclosed that the Tata Group had signed a ten year-deal to be title sponsor of the event. Both Standard Chartered and Tata have a history of sponsoring marathons. A London headquartered-bank with operations mostly in Asia, Africa and Middle East, Standard Chartered sponsored a string of marathons spanning the above mentioned regions. In March 2017, news reports said the bank’s financial woes had prompted it to pull out of the Mumbai marathon. This January as the 2018 Mumbai marathon was underway there were seasoned runners trading the annual pilgrimage of running it for a shot at the Dubai marathon, which incidentally remains sponsored by Standard Chartered. The two events are separated by less than a week. However Tata is bigger fish in the world of marathons. The prime mover within its fold as regards marathons is IT major, Tata Consultancy Services (TCS); the TCS website has a section devoted to sports sponsorship. Peruse it and you will see the company associated with a clutch of major international foot races. It is title sponsor for the marathons of Mumbai, New York and Amsterdam. It is title sponsor of the world’s largest cross country race in Lidingoloppet, Sweden, the presenting and technology partner for The Australian Running Festival and technology partner for the marathons of Boston, Chicago, London and Singapore. Thanks to the ascent of city marathons, the number of recreational runners in India has been growing steadily. 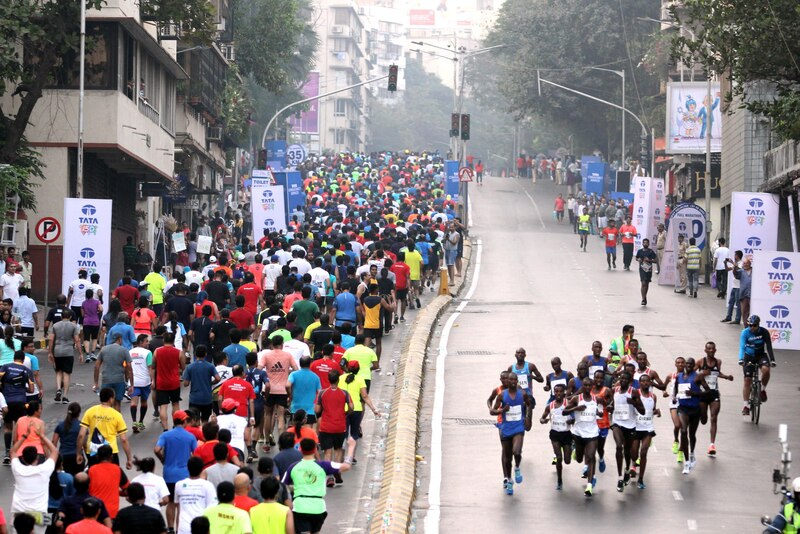 For the 2018 edition of the Mumbai marathon (the first time it was sponsored by Tata), some 45,000 people registered successfully. Standard Chartered did valuable service supporting the Mumbai marathon through its early years but as one among several foreign banks operating in India, its footprint is modest. Tata is household name in India. The above reasons – Tata’s familiarity with the world of marathons and the name being well known in India – made the title sponsorship deal of August 2017 interesting and couched in possibilities. In the world of sponsorship, marathon falls in the category of participative sport. A big share of sponsorship money in our times flows into spectator sports. Conceptually, they are descendants of the old Roman arena. You have immediate arena and extended arena afforded by broadcast media, mainly television channels and live-streaming on Internet. The cumulative audience here is enormous, running into tens of thousands and in some cases, millions. Cast at the deep end of competition, spectator sports tend to stay distanced from viewer. Like a mountain climb, the few that make it to the summit become the stuff of everyone else’s admiration. You relate to the excitement vicariously. Participative sports attract in a different way. They invite you to participate, experience directly. Unlike in spectator sports where teams and team members are famous and the rest stay anonymous viewers, in participative sport everybody participating has an identity. Once you have registered for a marathon, there is a run-up to actual event, which may be anything from a couple of weeks to couple of months. During this time, there is periodic correspondence between organizer and participant. There is acknowledgement of registration, confirmation of participation, reminders, invitation to pre-race expo and finally the expo, where many of the sponsors known until then as digital images in correspondence, manifest physically. The exercise provides a dimension of interface rarely found in spectator sport; the engagement in participative sport resembles direct marketing, closer perhaps to discreet direct marketing. It even graduates to real involvement for with products like running gear and shoes; the participant has a personal need he tries to satisfy given race approaching. Equally as regards services like registration process, app based-tracking (which allows runner’s progress to be tracked by family and friends), result and timing details wherein technology partners matter, efficiency is quickly felt and appreciated. Repeat registrations make the relationship with event, stickier. While this is the architecture of engagement, sponsors of marathons rarely – probably never – talk of it as a marketing exercise. Corporate backers of running – given health benefits associated with running and the satisfaction participants draw from completing a race – position it as avenue to give back to workforce and community. Gains to brand profile accrue obliquely. On the street, there were expectations when Tata assumed title sponsorship of the Mumbai marathon. Besides the familiarity Tata has with marathons in US and Europe, their sponsorship of the Mumbai marathon was seen as homecoming. Tata’s headquarters are in Mumbai. For some runners this blog spoke to, the change in title sponsorship wasn’t significant because event implementation is by Procam. In their eyes, the title sponsor was funds provider. Many others though sensed potential for change. But they couldn’t gauge what is realistically possible and not. The feedback we got from a mix of runners and marketers we spoke to on the change in title sponsor for the Mumbai marathon, was that these are early days. 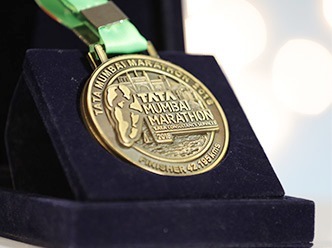 The January 2018 edition of Tata Mumbai Marathon (TMM) was mere months after Tata assumed title sponsorship. The 2018 TMM saw a new timed 10 km-race, introduced. Also debuting was the `inspiration medal’ for full marathon finishers. Going ahead, best practices from Tata-backed races overseas, could be infused into TMM, those we spoke to felt. This image was downloaded from the TMM website. It is being used here for representation purposes only. At the Nariman Point office of Chlorophyll Innovation Lab, Chitresh Sinha CEO & Head Innovation shared the story behind the `inspiration medal’ introduced in 2018. Different from the standard advertising agency or consultancy, Chlorophyll Innovation Lab is a brand innovations collective that works with brands, evolving technologies, art and social impact to “ bring alive innovation in integrated ways.’’ Procam, organizers of the Mumbai marathon, is one of its clients. According to Chitresh, between 150,000-200,000 people apply for TMM, which is also the single largest platform to raise funds for charity in India. “ Brand value is more at the human level than as return on investment for association with a running event,’’ he said. Studies have shown that people decide to attempt a marathon for factors ranging from the health benefits of running and sense of achievement to the meditative quality of running. “ Why do they wish to repeat it? That is the interesting part – they do so because it changes their life,’’ he said quoting examples of runners who kicked addictions and bad habits, grew closer to their families and found time for their children because their life transformed through training to run. For such reasons, it is not possible to benchmark the dazzling world of spectator sport with participative sport. “ Spectator sport is all about eyeballs. Its real impact on people’s lives is limited,’’ Chitresh said. If you want visibility and have a specific window of time assigned for gaining it, then investing in spectator sports makes sense. With participative sports, you stay invested longer but you reap an enduring bond. Currently India has around 1-1.5 million runners and 800 odd timed races. Chitresh said, Procam wishes to see the overall number of runners (across India) grow to 20 million in the next five years or so. That means the idea of running must spread quietly and convincingly. 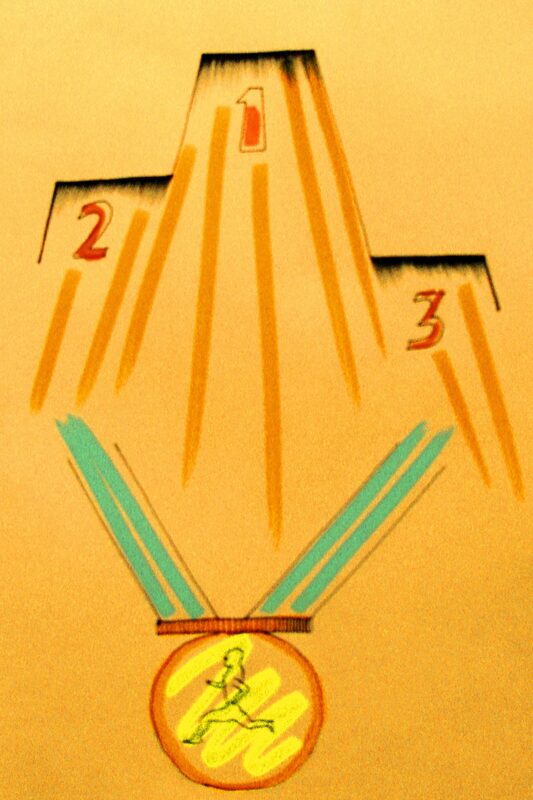 The social aspect of running was the premise from which Chlorophyll Innovation Lab recommended the `inspiration medal,’ a composite of two medals in one. A typical city based-runner, balancing work and life, is often seen off to training by wife and children. An early breakfast for instance, requires more than one pair of hands in Indian households. An early departure for training is a team effort by family. If you have a medal that is a composite of two separate medals and you can peel one off to gift it to somebody who played a pivotal role in making you a runner, then it helps endear running to more people. As with many sports events, TMM straddles a fine divide between participation and performance. It takes both to shape an event’s stature. 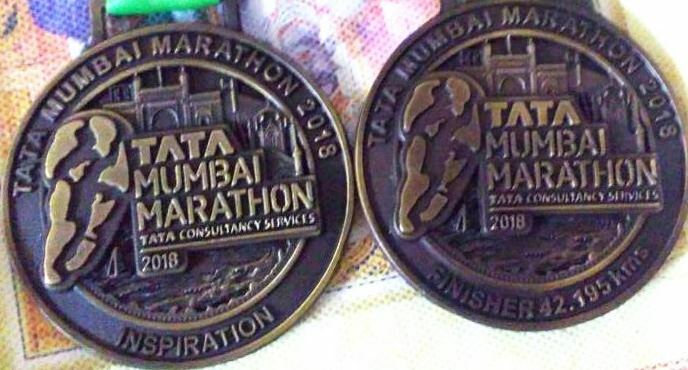 Not all runners we spoke to in Mumbai were enthused by the `inspiration medal.’ Some of them wished that improvements to TMM stay focused on running and runners’ needs, a view that is also partly fueled by Tata’s international presence in marathon events. If you imagine down running’s alley, the possibilities one can speculate, are dime a dozen. Which of the lot is practical enough to implement? That challenges. Consensus among those we spoke to was that improvements to how TMM is arranged and managed plus infusion of technologies relevant to running could be a realistic expectation over the next few years. Anything more, likely takes more than just Tata. TMM is recognized as the flagship running event in India. “ A distant second to the Mumbai marathon would be the one in Bengaluru,’’ a leading amateur athlete (name withheld as we promised him anonymity for this conversation) said. “ There is a depth of awareness about the annual marathon in Mumbai that you don’t find in other Indian cities. When I landed in Mumbai to run the 2018 TMM, even my taxi driver knew that the marathon was due. Among major marathons, this is without doubt the best organized race in India. But if you are talking of positioning Mumbai in the same category as Boston and New York because Tata is now involved, then we are a long way off. First those events are far older than TMM. They have evolved that much more. Second, those are cities which view their annual marathon as an important fixture in the annual calendar. Over there, the civic apparatus works in tandem with runners and organizers to make a city’s annual marathon happen successfully. That is running culture – and in that, India is far behind,’’ he said. Major cities overseas get their marathon act together because running is integral to how they imagine lifestyle. Will Tata’s assumption of title sponsorship, make the collective effort to host Mumbai’s annual marathon more convergent towards its goal of a good experience, year after year? Will Mumbai formally identify itself with running and its annual marathon? Cheering is a critical component of any marathon’s ecosystem and when it comes to city marathons, it is a window to meeting the host. The Boston Marathon, world’s oldest annual marathon, began in 1897. That makes it 121 years old. Indians who have run in Boston speak of it as a memorable experience, cheering playing no small part in it. At 15, TMM is definitely past infant stage. On January 21, 2018, just beyond the Mumbai marathon’s finish line, I met a city based-full marathoner who felt that cheering along the marathon’s route had come down. That is hard to believe given so much said day in and day out about the spirit of Mumbai. It is a fact that while running, runners dwell in a `zone’ in the head; cheering doesn’t register always. Still did this runner notice something many of us didn’t or preferred to overlook in our affection for the city? Can there be initiatives that make spectators and non-runners feel invested in the annual outing? A city that loves its marathon must never stop exploring how the experience can be improved for success can stagnate and novelty can fade. Fifteen years old and growing, the evolution of the Mumbai marathon will be worth watching. Mumbai’s Priyadarshini Park is an oasis in concrete jungle. The composite of park and sports complex includes among other facilities, a 400 m-running track. The place is right next to the sea. Its three days after the 2018 Tata Mumbai Marathon (TMM); over five years since `jhuley’ became part of the city’s marathon season-vocabulary. 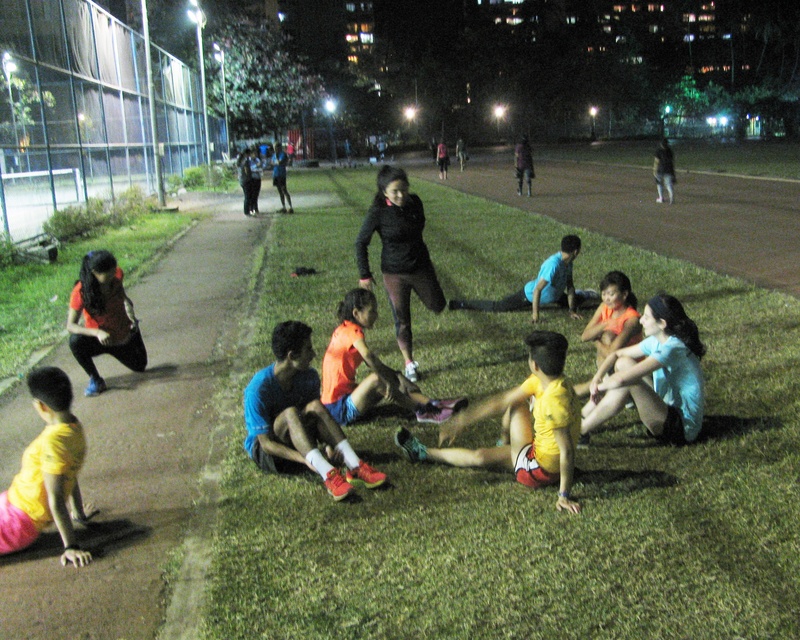 The runners from Ladakh – the team that visits Mumbai every year to run TMM – kept jogging on the track. They had one more event to participate in – the Thane Hiranandani Half Marathon – before returning to Leh and winter. Savio D’Souza, leading city based-coach sat by the track observing the runners. “ Their progress must be seen in the right perspective,’’ he said. Cut back to four hours earlier, same day afternoon, when this blog caught up with the team at their apartment near Mumbai’s Chhatrapati Shivaji Maharaj Terminus (CSMT). In total, the 2018 team from Ladakh featured 10 people, nine of them designated runners. Four of the lot, two men and two women – among them, Jigmet Dolma and Tsetan Dolkar scheduled to be in the Indian elite category at TMM – had left Leh on November 13 for the annual pilgrimage to run at various marathons in India. Their first halt was the 2017 Airtel Delhi Half Marathon (ADHM), which Jigmet completed in 1:26; Tsetan in 1:29. They then moved to Darjeeling, where they trained for a few weeks before traveling to Kolkata to run the Tata Steel 25K. At this event, Jigmet finished in 1:46; Tsetan in 1:49. From Kolkata, they reached Mumbai on December 21, exactly a month before the 2018 TMM. Meanwhile another group of six athletes left Leh on December 19. They joined the four already in Mumbai, on December 22. The team trained with Savio. At the apartment, Jigmet, Tsetan, Sonam Chuskit and Tashi Lodol put their heads together to estimate how many podium finishes the team must have earned at the various races they participated in, since the annual trip to Mumbai’s marathon commenced in 2013. They could recollect 9-10 podium finishes. 2018 has proved to be a reality check; a year of learning. 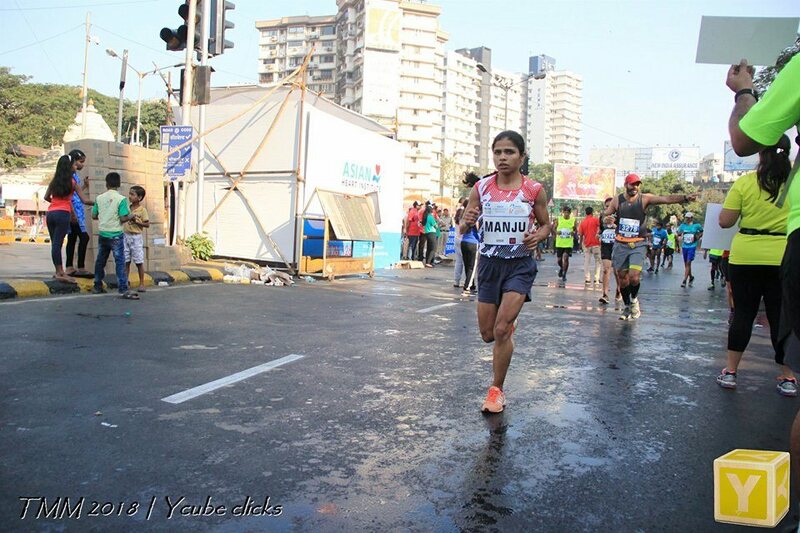 Although their performance has been improving with experience, as of late January with the Thane race alone remaining, there had been only one podium finish – Sonam Chuskit placing third in her age category in the full marathon at TMM. Last year they had two podium finishes at TMM. At 2018 TMM, the team suffered an unexpected setback. Jigmet and Tsetan run together. “ We are always alongside for much of a race, breaking free and going for the finish only in the concluding portion,’’ Tsetan said. Their timings betray the strategy. They are usually separated by a minute or two, sometimes seconds. On January 21, 2018 while running TMM’s full marathon, Tsetan had a packaged drink from one of the aid stations at the 21 km-mark. Five minutes later, she threw up. Although she footed it to the finish, she was not feeling good at all. Past the finish line, she threw up again. Needless to say her timing went for a toss; she finished in 4:21. Used to running with Tsetan, Jigmet’s progress was also disturbed. She had targeted hitting the half way-mark in 1:30 but found herself four minutes slower. “ I became tense,’’ she said. She finished in 3:13, placing ninth among Indian elite women. At the 2017 edition of the Mumbai marathon, she had placed third in the same category. “ Don’t go by the position she got. Jigmet’s timing has improved year on year; her timing at 2018 TMM was better than in 2017. The difference is in 2018, we had a much more competitive field,’’ Savio said. 2018 will witness two major international events in sport (relevant to Indian athletics) – the Commonwealth Games due in Australia and the Asian Games scheduled in Indonesia. Given this, the elite field in the Indian category at TMM, was quite competitive this year. For the Ladakhis, this is a reality check five years into their commencement of running TMM. “ For the first two years in that we had no training. We were merely running at events. Less than three years ago, we started training with Savio sir. It is only from then that we have had the benefit of structured training, including an idea of how to train in the months we are in Ladakh,’’ Tsetan said. Savio expects the field to be competitive for the 2019 TMM too, as by then Indian athletics would be in the run up to the 2020 Tokyo Olympics. What makes Savio happy is the story in the details. First, ever since he stepped in to coach, the timings of his Ladakhi trainees have vastly improved. Second, a runner like Jigmet may have missed the podium at 2018 TMM but she improved upon her timing from 2017 and is within striking distance of runners ranked above her up to fourth and fifth positions. The gap in timings in this bunch is narrow. Savio maintained that his consistent instruction to trainees is to focus on one’s own performance. “ We wish to run again at TMM,’’ Jigmet said. The Ladakhi team’s annual trip to run at events like ADHM and TMM has been put together by Rimo Expeditions, organizers of the Ladakh Marathon. According to Savio, there are valid reasons for the runners from Ladakh seeking to showcase their performance at TMM. Usually the progression of an athlete to national camp happens through a circuit that starts with selection at district level and then graduates to representing the state. When I asked the Ladakhi runners about this pattern of progression, they said that district level selection has either been erratic or when it happened, the graduation to representing the state wasn’t there. Ladakh is the eastern part of Jammu & Kashmir (J&K), a state troubled by militancy in its western half. The state is administered from the west; the bulk of its political imagination resides there. One of the runners I spoke to recalled that when he secured district level selection in Leh “ even officials from the Sports Authority of India were present.’’ Sports Authority of India (SAI) is known to do talent scouting. However beyond that selection, nothing happened. With that regular route of progression – district level-state level-national camp – blocked, sole option for Ladakhi runners is to vindicate themselves at the major marathon events of the plains. “ This is the avenue they have,’’ Savio said. He hopes the national camp selectors are watching these events. “ Hope’’ – that is the word he used. He saw the tough field his trainees faced at 2018 TMM as a necessary learning; part of the journey. According to Savio, as dwellers of altitude, athletes from Ladakh have endurance. What they lack are two things. First, they need to get used to competition and competition in the elite category can be quite tough. “ There can be no comparison between how well I can train them using whatever I have at my disposal and how well an athlete in the national camp is trained, given the superior coaches and facilities they have,’’ Savio, a former national marathon champion himself, said. Second, the Ladakhi runners have to improve their speed. A significant drawback here is that Leh does not have a running track. “ Speed training on roads is not good for the legs. Roads are hard surfaces. If you don’t have a proper running track, you need at least a mud track. That’s what we are trying to locate in Leh so that once they go back to Ladakh these runners can continue their speed work-out. On my last visit to Leh, we shortlisted a couple of locations,’’ Savio said. For the interim, there is Mumbai’s Priyadarshini Park. As marathon coach, Savio perceived other limitations too restricting runners’ progress. “ We need a few more races in Ladakh spanning a mix of distances from 10K and up. This will get more young Ladakhis interested in running,’’ Savio said. But even if you do that, it addresses only part of the issue. Once they finish their twelfth standard, most Ladakhi youngsters shift to Jammu, Chandigarh or Delhi – all at lower altitude – for university education. Ladakh does not have good education infrastructure. Although born to the mountains, a mountain dweller, if he / she stays away from the mountains for long, takes a while on return to altitude, to acclimatize and regain peak performance. 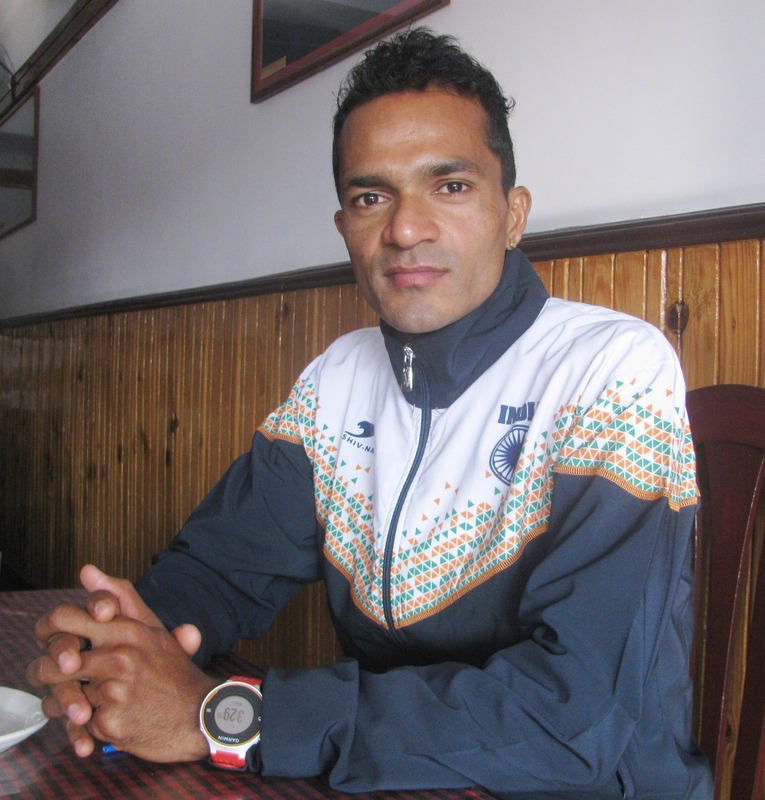 Savio believes that if you are a competitive runner, one targeting national camp and so on, it makes sense to be in Ladakh, studying and training; not away from Ladakh losing a vitality the region gifts you. Most of the runners reaching Mumbai from Leh have been podium finishers at the Ladakh Marathon. “ If he goes back right now and runs the Ladakh Marathon, he may not get a podium finish. He has been away from Ladakh for a long time,’’ Savio said pointing to one of the trainees and highlighting in the process, the two distinct environments that need to be managed for Ladakhi runners to succeed. If you are middle aged and grew up liking rock music, then you would be a worried person. Not only have quite a few talented artistes departed in the last couple of years but it is also a fact that replenishment of talent of that caliber has been slow, if at all there is. You could argue technical aspects can be taught and replicated. What is irreplaceable is heart. That plays a big role in creativity for if creativity was all about technical excellence and little else then it would be as dry as owning the latest gadget and claiming to be cool just by that. Firmly lodged in the grasp of business models, fewer artistes are convincingly sensitive these days. We are left with songs that are like the aural version of packaged goodies with nothing for depth or hook to chew on. To compensate for the coldness in contemporary music, we then have well-orchestrated posts and photos on social media to make artistes seem sensitive. In contrast, many of the departed living in era without exploded media, responded to their times. They noticed a non-digital entity called people, held concerts, sang about prevailing social conditions; they touched a chord. When an artiste notices the times and responds to it, you are left with something to reflect on. 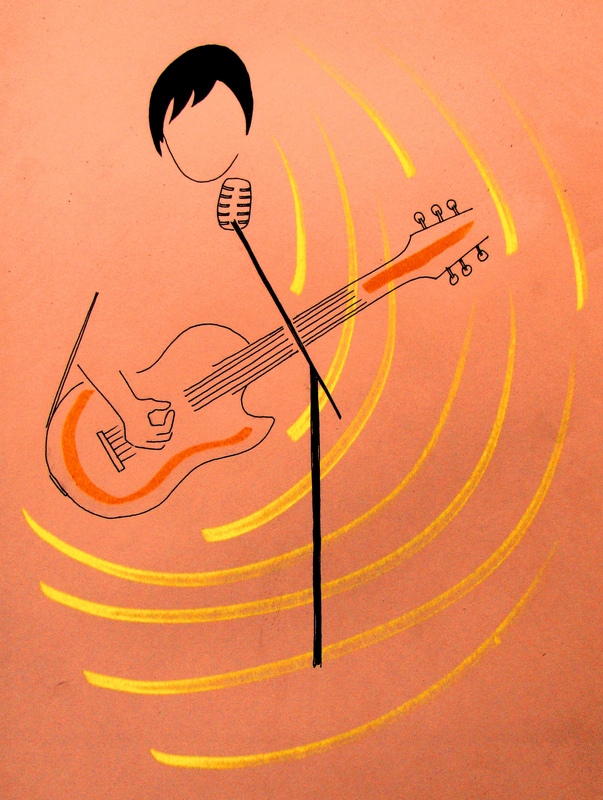 And sometimes, although the response may be to artiste’s specific environment, the song bears a metaphorical value that exceeds immediate audience. Lyrics and tunes, they linger. The recent demise of Irish singer Dolores O’Riordan was a loss at several levels. At 46, she was too young to die. She was the singer behind a clutch of memorable numbers, the best known of the lot being Zombie. That song performed by Dolores and her band, The Cranberries, was a protest song based on the 1993 Warrington bombings carried out by the Irish Republican Army (IRA). However, the way the song worked on me, was different. I live in crowded, competitive environment capable of injecting the battles of the outside into the mind. What hit home were those three words in the lyrics: in your head. Led on, I found the name for my predicament: Zombie. To me, that song is an anthem for life hijacked; when it isn’t your voice that you hear within but the war cries of an aggressive, competitive world outside, colonizing the inner self. In your head they are fighting, in your head they are dying – that’s a MRI scan of brain besieged. Richly metaphorical and sung as effectively as Dolores did, her voice angry and cracking at the utterance of zombie, those simple lines easily cross borders and immediate context. Contemporary Indian music gave me no such balm for the soul. It neither casts deep for inspiration nor does it articulate our state. From a thousand miles away, in an oblique, metaphorical manner, Dolores and her song about an altogether different subject provided words and voice for what I felt. The beauty of middle age is that it liberates you to embrace what you really like with no need to pretend for belonging to this group or that. The vault of accumulated music in your head receives a churn and you are pleasantly surprised seeing what endured life’s passing phases. From Zombie to Linger and more, Dolores was among those who endured in my head. Thousands participated in the 2018 Tata Mumbai Marathon (TMM) held on January 21. The overall winner in the men’s category of the full marathon was Ethiopia’s Solomon Deksisa who finished in 2 hours 9 minutes and 34 seconds. The overall winner in the women’s category of the full marathon was Amane Gobena, also from Ethiopia. She finished in 2:25:49. 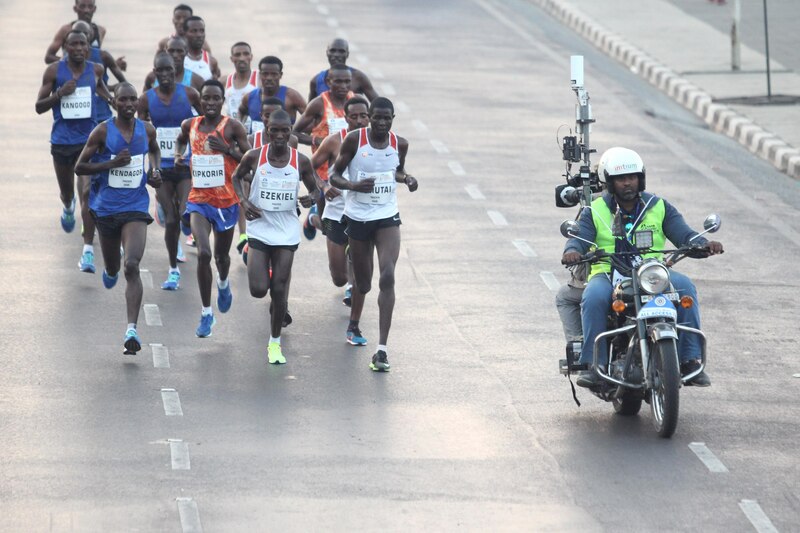 In men, the second and third position went to Shumet Akalnaw and Joshua Kipkorir respectively, while in women, the corresponding podium finishers were Bornes Kitur and Shuko Genemo. 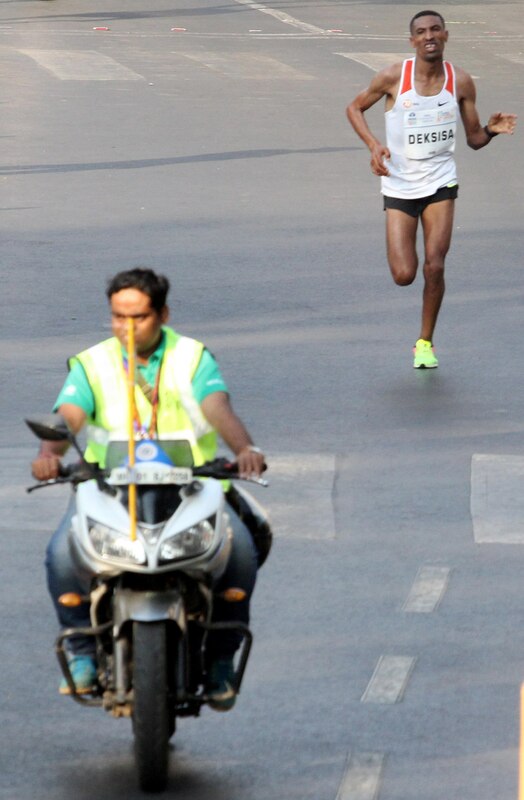 Among Indian elite athletes, Gopi Thonakal finished first in the full marathon for men with a timing of 2:16:51. He was closely followed by Nitendra Singh Rawat who finished in 2:16:54. Srinu Bugatha placed third with a timing of 2:23:56. 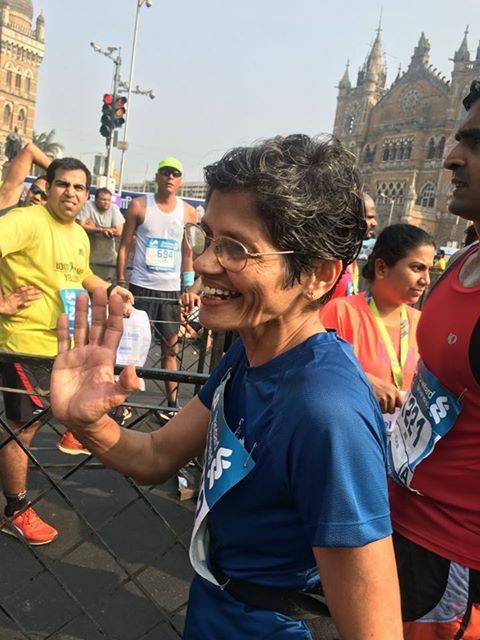 In the Indian women’s category of the elite section, Sudha Singh finished first in the full marathon with a timing of 2:48:32. She was followed by Jyoti Gawte (2:50:47) and Parul Chaudhary (2:53:26). The first Mumbai Marathon was held in 2004. This year marked the fifteenth edition of the annual event and the first time it was sponsored by Tata. In early August 2017, it was officially disclosed that the Tata Group had inked a ten year deal to be title sponsors of the marathon replacing Standard Chartered Bank. TMM is the biggest marathon in Asia in terms of participation and prize money. Going ahead, managing the emergent maturity of the fifteen year-old event and setting an engaging direction for it, will be among challenges for the organizers. The just ended TMM had for the first time, a timed 10 km-race in addition to the regular half marathon and full marathon. Given ongoing work related to building Mumbai’s metro, the marathon’s route near Chhatrapati Shivaji Maharaj Terminus (CSMT) – it represents the concluding stage of the half marathon and the beginning and concluding stages of the full marathon – had to be altered.